Odisha is a land of myriad marvels which proffer a visual feast for the curious visitors. Lakes and rivers, temples, waterfalls and wildlife etc. ornate the culturally rich state. Standout amongst the rest are the lakes and rivers in Orissa (Odisha) which beckon the tourists with their turbulent water and tranquility. The longest river meandering through Odisha is Mahanadi. The important river has blessed Mahanadi valley with flourishing agriculture and fertile soil. Then comes the Brahmani River which is the second largest river in Odisha. The river teams up with the Baitarani and Mahanadi to form the largest delta before merging into the Bay of Bengal. 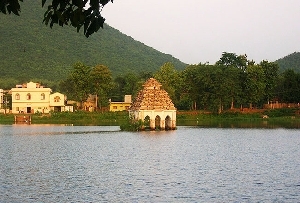 Another notable name in the list of Lakes and Rivers in Orissa is of Chilika Lake. The largest inland lake lures bird watchers and nature lovers. The pear-shaped lake also houses Irrawaddy Dolphins. Bhitarkanika Wildlife Sanctuary – Nestled along the Brahmani delta, the sanctuary is popular for its estuarine crocodiles. Nalaban Island – The beautiful archipelago was declared a bird sanctuary in 1973. Puri – One of the must-visit pilgrimage amongst the Char-Dham for Hindus. Chilika Lake Sanctuary is a home to varied avifauna. An array of native and migrant bird life makes Chilika Lake a bird watcher’s delight. From flamingos, white bellied sea eagles, jacana to dolphins, dwell amid the brackish water of the lake. 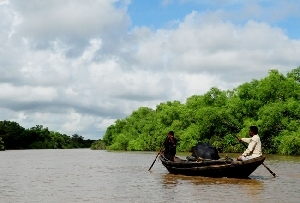 Safari is not available in the area but a boating experience can be an added fun. 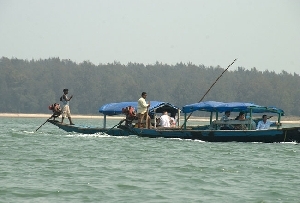 October to March is the best time to visit Chilika Lake.